Northern Trust has begun a massive operation to expand its blockchain and cryptocurrency offerings across multiple divisions. This marks one of the first forays into blockchain and cryptocurrency by a traditional financial institution. 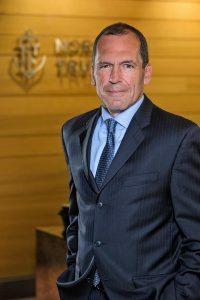 Northern Trust, a 129-year old company with nearly $10.7 trillion in assets under their custody and management, has launched projects in both the cryptocurrency and blockchain sectors in a big way, and have committed significant resources to the exploration of these technologies. One of the newest of the company’s projects is three “mainstream hedge funds” that are currently utilizing cryptocurrency investment as a means of diversification of these portfolios. Some of these involve new administrative services developed for cryptocurrency, including: risk and control frameworks for anti-money-laundering, asset existence validation, crypto-trade reconciliations, and the ability to handle new net asset value pricing arrangements. The company, which had $370 billion in assets under their management under the Northern Trust Hedge Fund Service as of the conclusion of the first quarter of 2018, does not have any plans to, nor does it currently, possess any direct custody of cryptocurrency. However, according to Northern Trust President of Corporate and Institutional Services, Pete Cherecwich, the company’s moves to help customers manage their cryptocurrency investments are part of a larger preparation for when fiat currencies are also available on the blockchain. 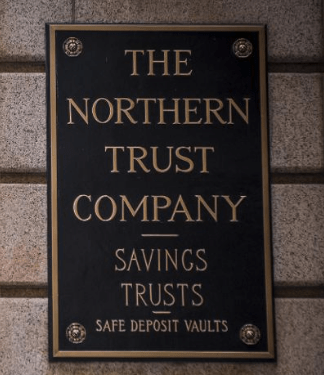 In addition to cryptocurrency asset management solutions, Northern Trust is also working to integrate blockchain into its private equity business, valued at $77 billion. Initially launched in February of 2017, the Northern Trust private equity platform utilized the open-source blockchain code Hyperledger Fabric, which was initially crafted for Unigestion, a Swiss financial services firm. Since that initial launch, Northern Trust has upgraded the platform on an enterprise-grade version of Hyperledger Fabric, and continues to expand the feature offerings. Rather than merely settling a blockchain transaction, the new process involves a more automated process. In addition, capital call functionality has been included in the system to create increased efficiency and drastically improve the speed of funds receipt by reducing the role of middlemen. According to the article in Forbes, Northern Trust compiled a team of specialists in technology and private equity, and has included other team members, including product managers, as well as operations and regulatory compliance experts well-versed in the target markets. When I do a capital call, I will get my money faster than if I had to do it via emails and paper and everything else. So my time to market, and therefore when I’m going to get paid, is shortened. The more automated that process becomes, it’s just less costly to run a fund. Northern Trust’s overarching plan for the cryptocurrency and blockchain markets goes much further than cryptocurrency administration and private equity workflows. While it makes sense that blockchain was seen as a perfect fit for the private equity industry, due to the relatively low transaction rates and the difficulty managing high volume, Cherecwich believes that distributed ledger technology (DLT) may be well suited to regulators and auditors due to the inherent transparency. Northern Trust, along with PwC, one of the Big Four accounting firms, introduced a series of auditing tools aimed at providing real-time access to previously periodic financial reports. A Guernsey financial regulator, with access to a node on the blockchain, can access information in real time. Northern Trust has two patents that show its interest in transitioning into a role as a software provider. The first of the patents, which was filed in 2017, utilizes biometric technology to verify the identity of a user to validate assigned permissions for performing tasks. The other, filed later in 2017, expands on the proof of identity concept from the first patent, and uses that to host meetings using blockchain, such as Ethereum, Hyperledger Fabric, or Openchain. Northern Trust is not the only major financial institution wading into the blockchain and cryptocurrency sphere. Goldman Sachs is finalizing a bitcoin trading desk. Bloomberg launched a Galaxy Crypto Index earlier in 2018. Despite a June report by Northern Trust classifying their approach to cryptocurrency as “cautious,” it is clear that they are ambitious and optimistic, despite continued regulatory uncertainty, which is preventing other financial institutions from launching any blockchain or cryptocurrency services until the matter is clarified.